This top-of-the-range model is characterised by a long wheelbase, superior weight distribution and operation as convenient as never before ? this model at a scale of 1:16 owns up to it all. The cab is fully glazed and features easy-to-open doors. The folding bonnet gives a view of the impressive engine. Excellent handling and ride comfort thanks to the installed oscillating axle as well as the steering wheel extension that is inserted through the roof. 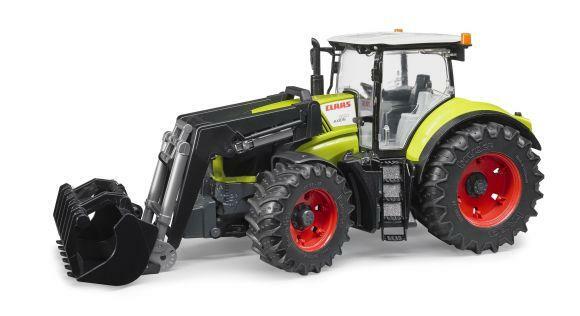 This Claas Axion 950 comes complete with slip-on front loader. 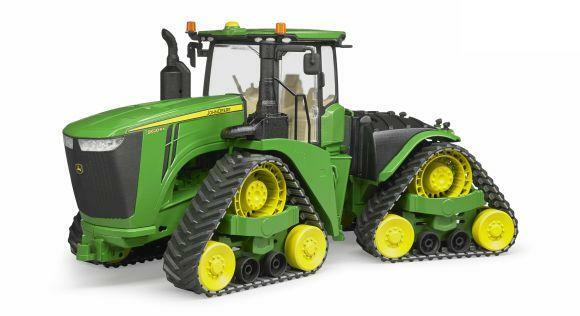 Enhance the model and attach twin tyres (item BRU03312). 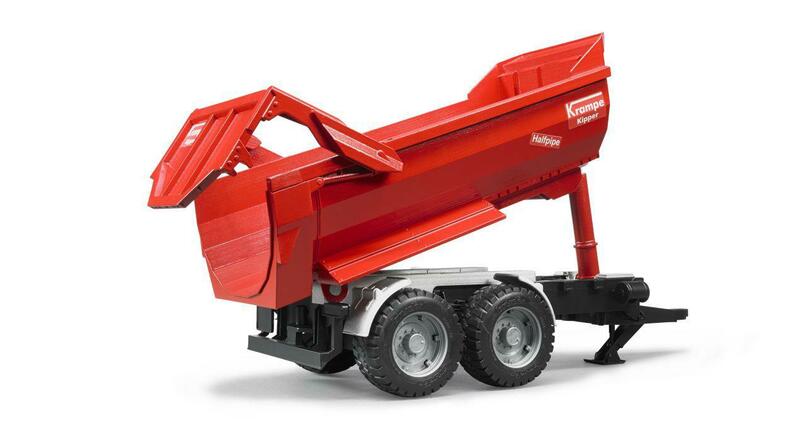 The height-adjustable rear coupling is compatible with all Bruder trailers. The new, detachable wheels add to the fun.